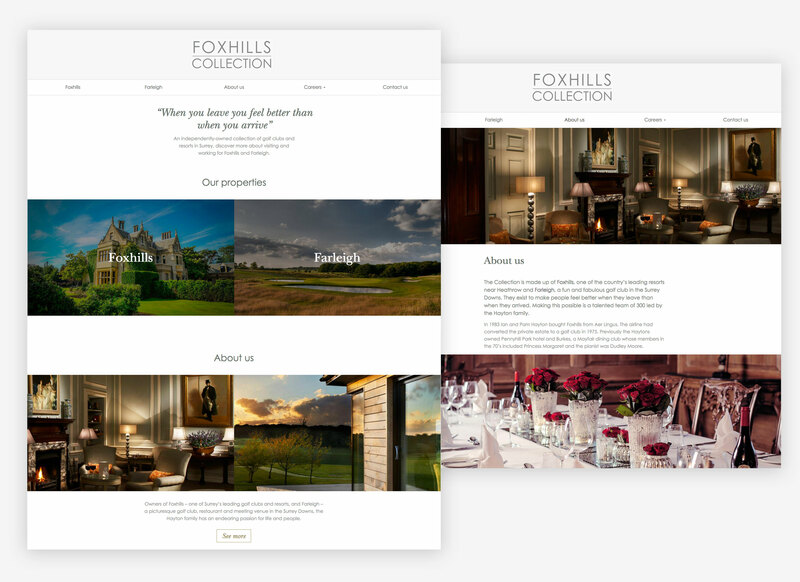 Golf club and resort owners Foxhills Collection required three new websites to cover its two resorts and a ‘family’ site to promote the collection and offer a career avenue. Through extensive usability work and interactive wireframing Chalk created a powerful suite which increased on-line bookings by over 50% from launch. The websites provide the in-house marketing team with the ability to utilise social media and tie in with promotional website activity to drive sales where required, capturing all data in the process. Chalk are proud to announce The Foxhills website won the Bronze Award in the Surrey Digital Web Awards 2017. The Farleigh website made the finalists and was awarded 7th place. 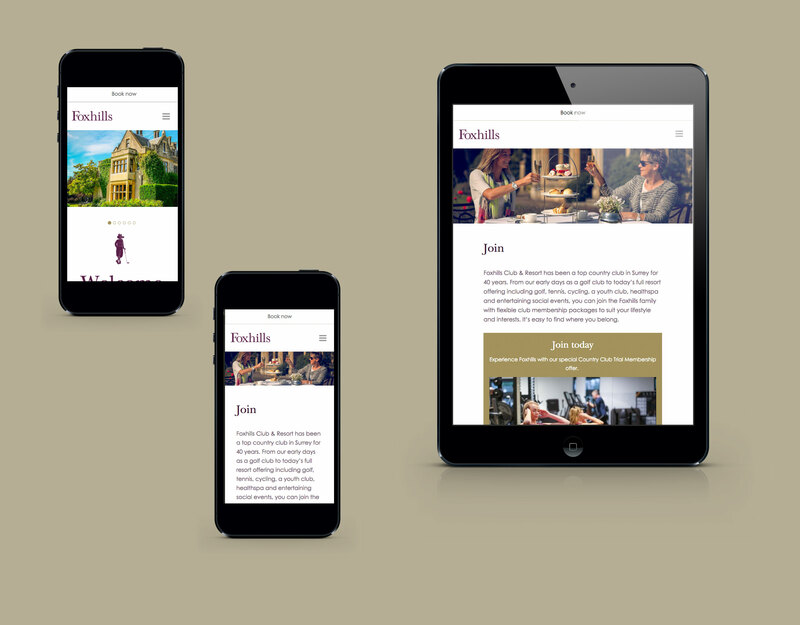 Farleigh required a clean and simple website soution helping to promote online bookings and reservations. 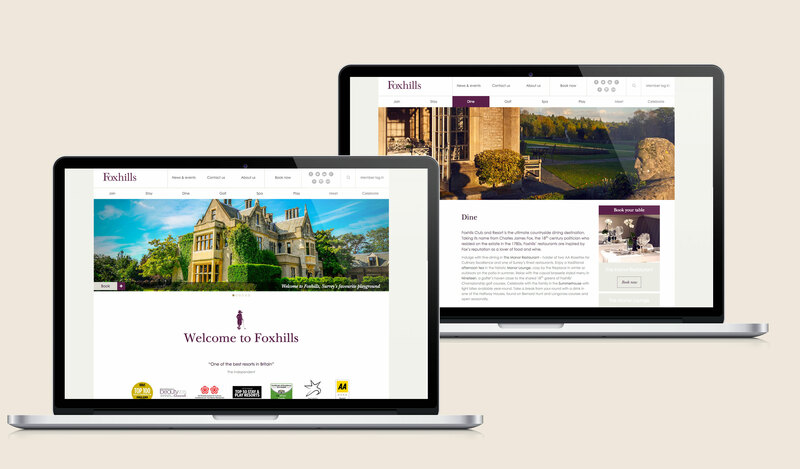 The site was designed to sit within the 'Foxhills' family brand. The Farleigh Collection site is the flagship site for the Foxhills company. The site details the offering of the resorts and clubs and also provides a careers section for company-wide use.